Cyberkov Management and IT Security Experts Team | Cyberkov | Professional Cybersecurity & Consultation Firm. Abdullah AlAli is the head and founder of Cyberkov Ltd., he is the face behind Cyberkov team. 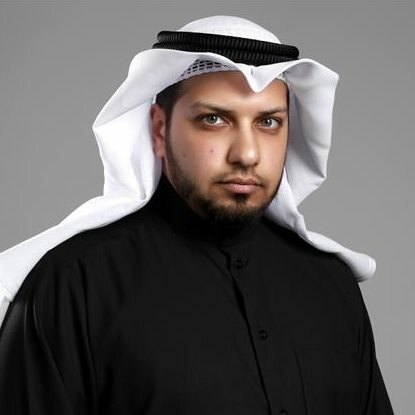 Abdullah has participated in countless security events,TV interviews, reports and projects in the Middle-East region, and he is widely known as the premier IT security and privacy figure in the region. Abdullah holds a bachelor degree in Computer Engineering, Master degree in Cybercrime law as a large number of highly technical security certifications such as ( CISSO, C|EH, C|HFI, MCSE, RHCE, ISFS, CIFI, MCSE, CWNA, CWSA, MCITP, MCTS, IISFA), indicating a thorough background in most technical fields pertaining to security. Through campaigns and public appearances, Abdullah has helped introduce a culture of privacy and cybersecurity amongst the public of the MENA region in a style that sheds the light on the needs of end users as well as organizations. 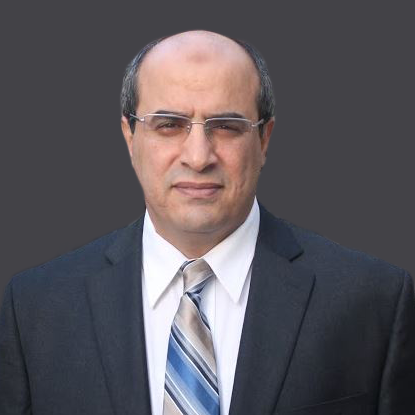 Dr. Hassan El-Sallabi is the Chief Advisor for Cyberkov, providing strategic advising and consultation for Cyberkov's business and technical processes and projects. With a PhD/D.Sc in RF, Wireless and Telecommunication engineering from Helsinki University of Technology in Finland; a Post Doctoral (Higher doctorate) from Stanford University in Silicon Valley, as well as research activities in Texas A&M University and New York Polytechnic, more than 10 patents, as well as years of experience in Silicon Valley; Dr. Hassan is able to integrate decades worth of scientific research and input into Cyberkov's business. Dr. Hassan produced more than 100 scientific publications, and his research with Polaris Wireless in Silicon Valley helped emergency services (911) in the United States develop and improve their life-saving response and location procedures for people in distress. For his significant contributions in research, Dr. Hassan was awarded by IEEE, Nokia Foundation, and others. © 2019 Cyberkov W.L.L.. All Rights Reserved.